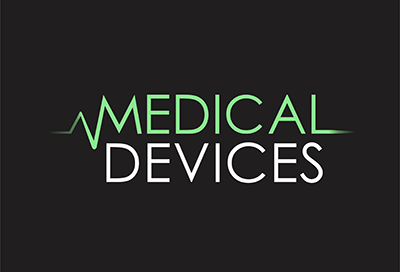 This is a reminder to please request your input for the Global Medical Devices Pricing Survey. The survey can be accessed here: https://extranet.who.int/dataform/551476/lang-en and is aimed only at professionals working in the procurement, selection or assessment of medical devices in public and private hospitals, governmental procurement offices, United Nations Organizations, Non- Governmental Organizations, other international organizations, Foundations or consulting agencies. One of the World Health Organizations six leadership objectives is to improve access to quality, safe, affordable and appropriate medical products, including all medical devices ( assistive devices, medical equipment, in vitro diagnostics, imaging, and single use, surgical instruments and prosthesis among others). We would be grateful if you could help us in this and fill out the survey. The WHO thanks you for your assistance to retrieve this information. 1. Who can fill out the survey? It can be filled out by a professional who has access to pricing information of medical equipment: on the procurement, selection or assessment process. 2. What materials are needed? Access to invoices or quotation of medical devices requested or purchased in the last two years. 4. How long will it take? It takes approximately 20 minutes to fill out the general answer section within the survey. For each of the devices purchased you will then be asked to fill out answers for another 20 minutes. 5. Can I save my answers and complete the survey at a later time? Depending on the number of devices entered, it can take long time so you may save your answers at any point and return to the survey later. Instructions: Click Resume later. You will be prompted to enter a name, password and email which can then be used to access the survey at a later date. Remember to click the Save button to save your answers. After you save your answers, you can either close the browser window and re-access the survey at a later date or continue filling out the survey. 6. How are my answers protected? Your answers will be analysed anonymously. No information on individual respondents will be made public. Only for statistical purposes, unless otherwise stated by you . 7. How will survey findings be shared? The WHO will prepare a report on differential pricing of the specific models and brands of medical devices in the survey, the price components if available and make this publicly available on its website. 8. Why is this important? Different countries and agencies thus pay substantially different amounts for the exact same technologies. We acknowledge the difference if warranty, spare parts, amount of items is considered, so this is asked specifically. The survey aims to explore such differences and find out the pricing components. 9. Who do I contact for further information?